Cambodia might be one of the smallest and least populated countries in the Greater Mekong Sub-region, but it has probably the highest density of local airlines per capita… How many carriers and where do they fly? Here is an overview to help surviving in Cambodia jungle of air carriers! Once upon the time, Cambodia air transport was rather easy to embrace. There was only one national carrier, funded with the help of French, Royal Air Cambodge. The carrier was by then the only international and domestic carrier flying to Bangkok, Saigon or Manila and at some point even to Paris. The war and its devastating consequences put a term to Royal Air Cambodge. A revival of the carrier in the mid-nineties was a failure as other airlines popped up. They are currently six airlines registered in Cambodia which are flying on a regular basis: Cambodia Airways, Cambodia Angkor Air, JC International Airlines, KC Airlines, Lanmei Airlines, and Sky Angkor Air. In 2013, only seven aircraft were registered in Cambodia. 5 years later, there are 30 aircraft bearing a Cambodian registration and this number could grow to 45 in the next decade. With a total number of 10 million passengers, the country has three international airports: Phnom Penh, Siem Reap and Sihanoukville. Cambodia’s relatively small passengers market is claiming already some victims: Bassaka Airlines recently went bankrupt and suspended all of their flights. They are now over 8.2 million departure seats made available out of Cambodia, a growth in capacity of almost 20% compared to 2017. In just six years time, the total number of seats has more than doubled! The most competitive route remains Phnom Penh to Siem Reap with six airlines, whereas the second route Sihanoukville to Siem Reap gains popularity and is now operated by three airlines. The national flag carrier, Cambodia Angkor Air, is a joint venture between the Cambodian government and Vietnam Airlines. Over the years, the airline has been launching and closing routes, offering a very fluctuating network. Cambodia Angkor Air currently flies out of Phnom Penh, Siem Reap, and Sihanoukville, offering domestic routes. Internationally, the carrier flies to Ho Chi Minh and Guangzhou from Phnom Penh and Siem Reap. Besides scheduled flights, the airline operates charter flights to Chinese cities as well as to South Korea. The fleet comprises Airbus A320 and turbo-propeller ATR72 on domestic routes as well as to Ho Chi Minh. According to the airline management, Hanoi is due to be added in the near future. This carrier is among the newest in the Kingdom. 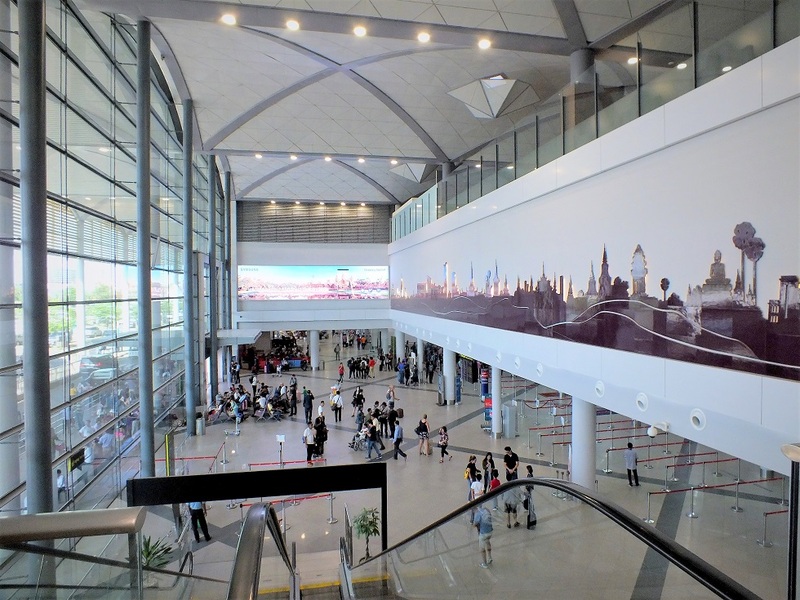 It started modestly flying only domestically between Phnom Penh, Siem Reap and Sihanoukville as well as offering regular flights from Phnom Penh to Macau and from Siem Reap to Taipei. The carrier has big ambitions, looking to start flying to Hong Kong, Singapore and Bangkok and at a later point to Japan and South Korea during 2019. The airline is also evaluating the opening of routes to Manila and Jakarta, since Phnom Penh lacks of non-stop flights to these two ASEAN capitals. The carrier started operations in March 2017. As the airline is backed by Chinese investors, it flies to half a dozen Chinese destinations including Chongqing, Hefei, Hu’ai Lianshui, Kunming and Sanyan with the launch this year of Phnom Penh to Guiyang, Siem Reap to Xi’An and Siem Reap to Xuzhou. The airline also launched in October three weekly domestic services from Phnom Penh to Siem Reap and return. If you wonder what KC means it is the shortening for Khmer China Airlines. 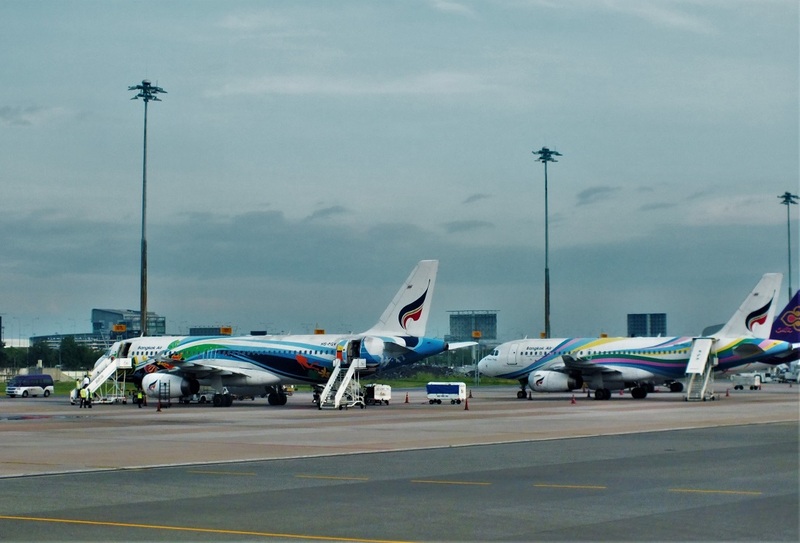 The carrier received its Air Operation Certificate (AOC) in August 2018, starting to fly the domestic triangle route Phnom Penh–Siem Reap–Sihanoukville as well as Sihanoukville to Macau. The carrier has an Airbus A321 from China. However, only after three months of activity the carrier has been forced to adjust its schedule, cancelling most of its frequencies in October while it totally suspends its activity in November and December. Despite its suspension, the carrier continues to activate its website showing even its future destinations such as Bangkok, Hanoi or Kunming. It presents as the only low-cost carrier in the Cambodian market, with a fleet of Airbus A319s and A321s. Named after the Lancang-Mekong river, the airline started operations in September 2017 and currently operates a network of 23 routes, including Hong Kong to Phnom Penh and Guangzhou to Phnom Penh. 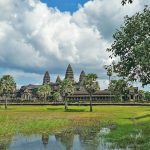 Earlier this year, the carrier launched services linking Siem Reap to Meixian and Ordos as well as from Sihanoukville to Shantou, all located in China. During this winter, the carrier announced new services to Jieyang/Chaoshan, Linyi, Xining and Zunyi from Siem Reap and from Sihanoukville to Changsha. The carrier was formerly known as Skywings Asia Airlines and is a joint venture between Cambodia and South Korea. It flies domestically between Phnom Penh and Siem Reap but is also the only carrier to offer a regular service from Siem Reap to Busan, Korea second largest city. According to its website, the airline offers charter flights to over 30 cities in China. The huge competition between Cambodian carriers has although a major weakness, timetables and schedules are not really stable with frequent cancellations of routes. Therefore, it is advisable to check twice the availability of flights before planning a journey. The market is likely to be even more competitive in 2019 as Cambodia Civil Aviation already announced two more airlines: two joint Cambodian-Chinese carriers: MJ Airlines and Domrey Angkor Airlines are expected to receive government approval to start operations by early next year. Baolau integrates domestic and international flights to Cambodia. Passengers can book online and receive the e-tickets by email, ready for check-in.